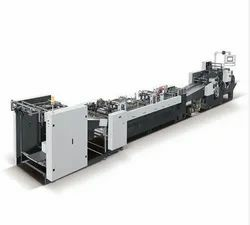 Providing you the best range of medical paper cover making machines, paper cover making machines, white cover making machines, brown paper cover making machines, brown cover making machines and fully automatic paper cover making machines with effective & timely delivery. We are the leading supplier of Medical Paper Cover Making Machines made from high quality material at competitive prices. We are the leading supplier of Paper Cover Making Machines made available to our clients at competitive prices. We are the leading supplier of White Cover Making Machines made from high quality material at competitive prices. We are the leading supplier of Brown Paper Cover Making Machines made available to our clients at competitive prices.